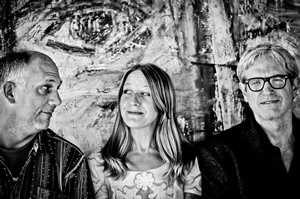 Texas-based singer/songwriter maestro, Sam Baker will return to Glasgow for the first time in more than three years for a St Andrews in the Square show on June 23. He will be bringing songs from his new, upcoming album, The Land of Doubt, which is his fifth release, to his audience who can expect unstinting warmth, grace, wit and heart-tugging emotions for every minute he’s on stage. Sam is a terrific live performer who opens his heart in each of his songs in sold out venues. He captivates people with story telling that stays in the memory for a long time. Having survived a bomb blast in Peru, eight hours of life saving surgery followed by a series of reconstructive operations, lasting hearing difficulties and learning how to play left-handed, Sam’s songs are real personal, beautifully conveyed in his carefully-crafted, heartfelt lyrics. “It only takes a few seconds for Sam Baker to captivate a crowd as those who have been at his gigs will readily testify,” said The Fallen Angels Club’s, Kevin Morris. Th Fallen Angels Club has announced “An Evening With Sam Baker” that takes place in St Andrews in the Square on September 5. Texas-based Sam’s sell out appearance at the Glasgow Americana Festival last year was a “best gig of the year” for many lucky enough to get tickets. With a new – his fourth – CD imminent, this welcome speedy return to the city will be keenly anticipated by fans who revel in his releases and live performances. “…Baker took to the stage and played his heart out, directly into our hearts” – Mike Ritchie, americana-uk. Sam Baker returns to Scotland on June 7, 2014 for a show at The Pleasance in Edinburgh, his first solo headline performance in the capital. His brilliant first three albums, “Pretty World,” “Mercy” and “Cotton” have been praised by the likes of BBC’s Bob Harris – and his fans in Scotland never fail to be won over by his emotional live sets. Having survived a bomb blast in Peru, eight hours of life saving surgery followed by a series of reconstructive operations, lasting hearing difficulties and learning how to play left-handed because of the injury to his right hand, Sam has a real personal story to tell – and it comes out in his heartfelt lyrics. 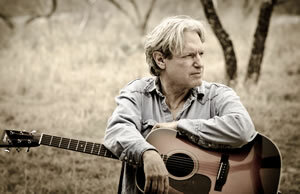 Texas-based Sam Baker is brilliant – just ask anyone who’s been at any of his sell-out shows in Scotland of late. Having played a glorious, headline date in the capital in June this speedy return is most welcome. Sam’s fourth album, the glorious “Say Grace” has warmed and pleased his fans while his live performances continue to prove memorable and emotional. An evening in his company is something to savour. “Sam immersed us in his songs about misfits, desperate souls, the heart-broken with desperate lovers in tow, the dead end jobs, the hopeless romances.” – Mike Ritchie, americana-uk.